Dr. Jaren Jensen, Pediatric Dentist of SmileReef, knows firsthand the financial difficulties of getting through college, dentistry school, and specialization school. Through his education, scholarship opportunities like this helped Dr. Jensen to be the kids’ dentist he is today. After receiving his D.D.S. from Creighton University School of Dentistry and then specializing in Pediatric Dentistry at the University of Southern California, Dr. Jensen envisioned ways that he could give back to the community and promote future dentists and pedodontists. “ I love what I do; helping children with their dental needs is very rewarding. I want others to pursue their dreams and be the dentists of tomorrow ” Dr. Jensen said. 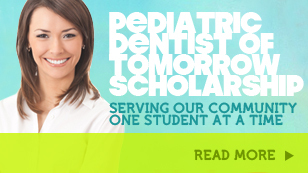 The Pediatric Dentist of Tomorrow Scholarship will award $500 every year to a student striving at achieve their dream of entering the dental field. To apply, submit a 300 – 1,000 word essay along with your contact information to Vanessa@smilereef.com. When does the submission process begin and end? Essays may be submitted between 12:00 a.m. Pacific Standard Time on March 15, 2019 and 11:59 p.m. Pacific Standard Time on March 15, 2020. The scholarship recipients will be notified by email on or about April 15, 2020. Any student currently attending a college, university, dentist school, or specialization school, or will be attending within 1 year, and hopes to enter the dental field in the future. Essays are judged by creativity, specificity, and basic grammar. We are looking for future dentists, pediatric dentists, or other dental professionals with a vision to help others and the dental community. A minimum amount of personal information is needed to verify your submission and provide SmileReef with a means of contact should you become a scholarship recipient. This personal information is used for our internal records only and we will not share your personal information with any third-parties. The winner will receive a $500 scholarship that will be paid directly to the scholarship recipient’s college or university.